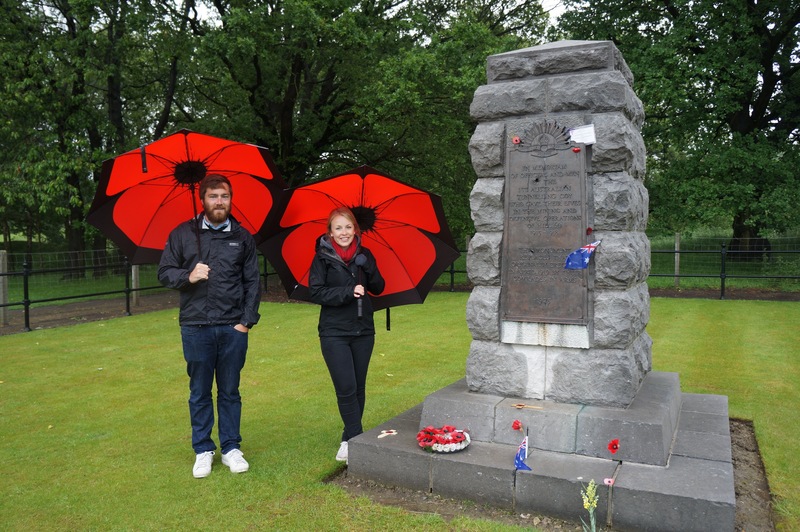 In honour of Harry & Alfred Dean – a day in Flanders Fields | Drew and Elyse... in space! Belgium is beautiful. A now serene landscape with some evident scars of two world wars. 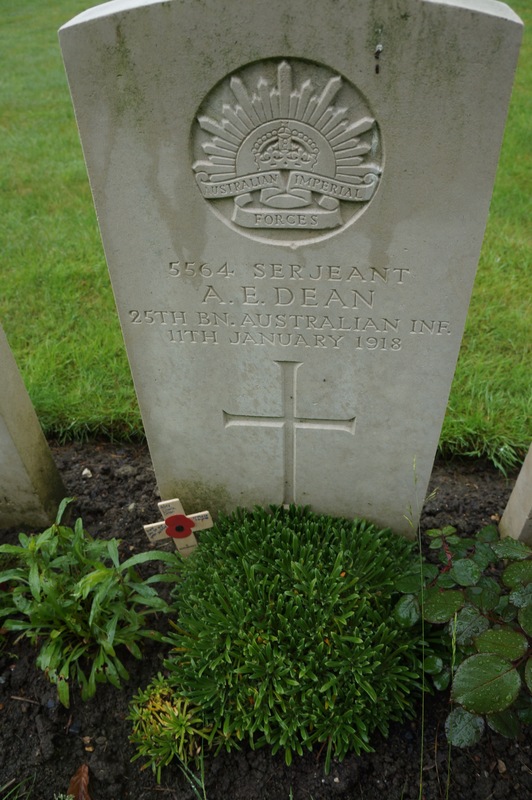 Andrew and I went on a private tour with a wonderful guide named Patrick today, who took us around the Great War battlefields and memorials, specifically relating to the ANZACs and more specifically, relating to my great grandfather, Harry Michael Dean , and his brother Alfred Edwin Dean. It is very hard to explain the way that it felt to be there, retracing the steps of a man who I personally had never met, and yet feeling so proud and honoured to be related to. My dad calls Harry “grandpa”, I suppose my Pa would have called him Dad. I’ve heard so many stories about this man over the years, I would usually refer to Harry when speaking with my dad, so I guess I usually call him “your grandpa”, today, I’ll just call him grandpa. 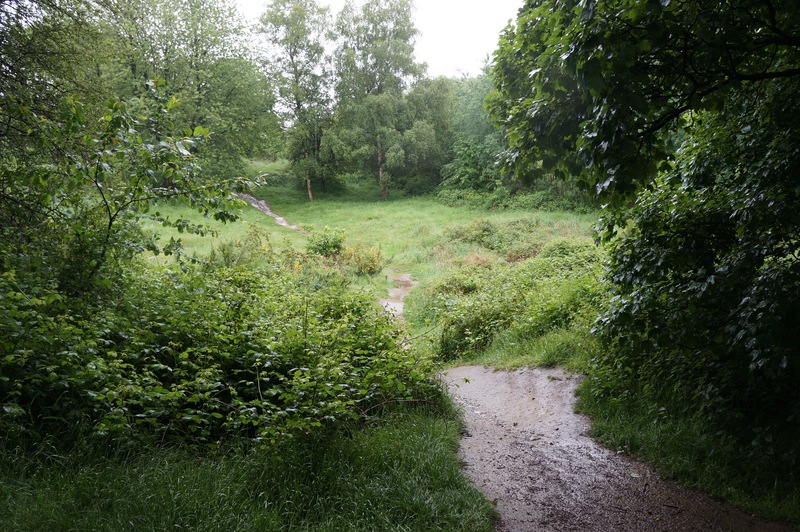 Hill 60 itself, is more of a crater than a hill now, after being blown up with a mine nearly a century ago. There is no water in the crater because of the number of tunnels still underneath. 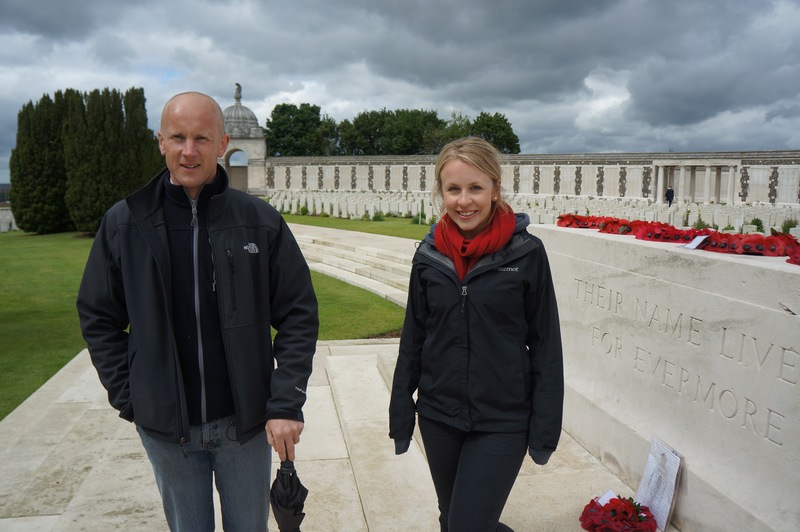 The ground under Flanders Fields is riddled with tunnels and, no doubt, bodies of soldiers. I stood on top, grandpa certainly would have been below. Patrick even took us out into the field where he knew the entrance to the Larchwood forward dressing station was located, nearby where Grandpa was wounded, and where they would’ve first treated his injuries – we had to hike through someone’s farm, through grass, thistles, mud and marshland to get there (I may have slightly fallen in), but it was absolutely worth it in the 9 degree weather. 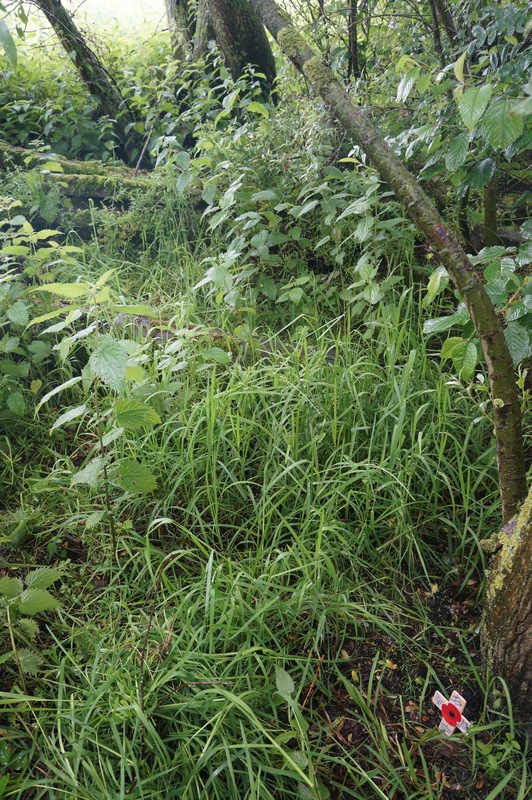 After nearly 100 years, you can barely find the entrance to Larchwood forward dressing station anymore, only a very educated person would have known where to look. The opening has been covered over with wood and concrete and grass and mud cover much of what is there, but you can still make out where it would’ve been. It was a very moving experience for me. Leaving a cross of remembrance on that spot, on behalf of myself, my grandfather, my dad and my aunty Sue. If the Germans had not mistaken grandpa for dead that day, my Pa, dad and I would never have been born. Earnest A Bennett was not so lucky. He was killed during the raid. Grandpa losing a leg, in comparison, was nothing. We visited Tunneller Sergeant Bennett’s grave. It quite easily could have had grandpas name next to it. Praise the Lord for the Germans rushed assessment of him! Alfred Edwin Dean. My great great uncle, he made the ultimate sacrifice on those fields in Belgium. How how was killed in action, at this stage, I do not know. I had the great privilege of visiting Alfred’s grave today, at Underhill Cemetery. Leaving another cross of remembrance, I felt more pride than anything. I initially felt sad; sad that perhaps his grave had gone unvisited for such a long time. But a young, handsome and promising solicitor, my great great uncle, gave his life for the cause of the free world. I am proud of my heritage, proud of my family and country, proud to live in the Australia & the global community that Alfred fought and died to protect. For lunch we ventured down near Polygone Wood to a little pub called “ANZAC Rest”, so we could meet a gentleman named Johan Vandewalle. Johan owns the pub, and it is all but a pure memorial to our ANZACs. 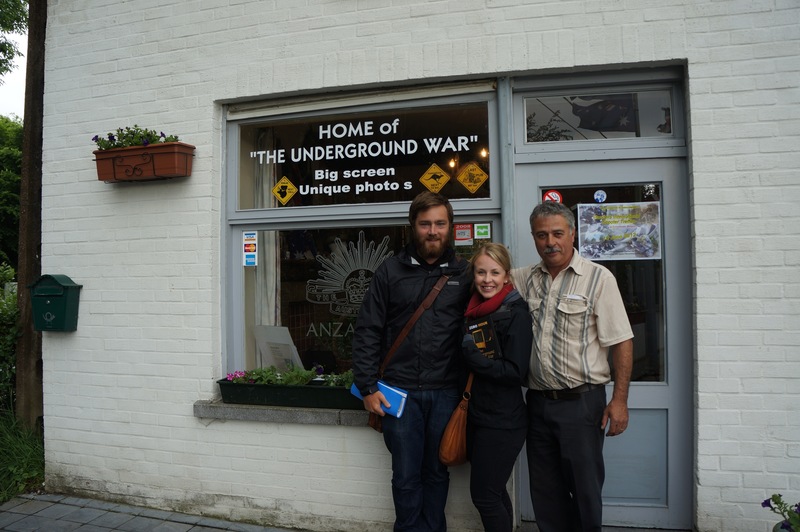 He played us part of a documentary he is in called “Zero Hour” based around the tunnelling of the Great War, before donating to us! What an honour! Johan’s knowledge of the WW1 tunnelling is certainly impressive, he was responsible for the excavation work of the “Zonnebeke Five”. 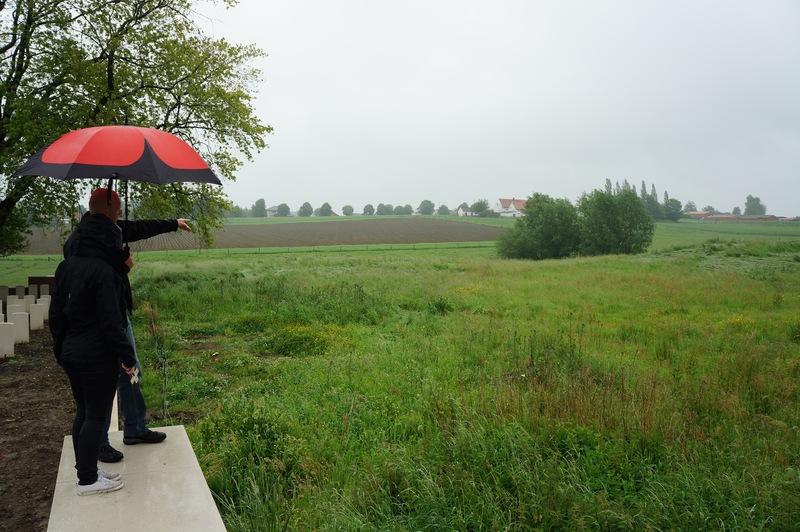 Should you ever be exploring Flanders Fields, you should definitely pay Johan a visit. 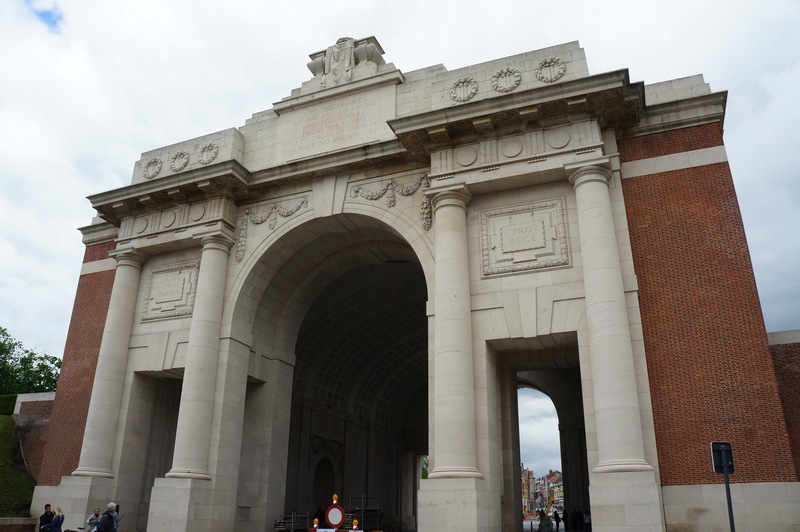 Our day also included a trip to the small memorial to the site of the Christmas truce, Tynecot Cemetery and the Menin Gate. Amazing. outstanding! I’m so glad that you had a memorable time with Patrick, a nice bloke! Bless you my beautiful one. I am honoured to have read your heartfelt words after your special day. You have moved me more than you can imagine. AND you have also inspired me to travel there – perhaps with Bruce some day (sooner than later). Wouldn’t that be perfect!! My love always, Sue (your proud aunty).